At some stage in your career as an affiliate, you are going to think about creating your own product. After all… this is the next step for online entrepreneurs, right? And the chances are, you’ll also think about creating an affiliate program for your product. After all… you already know from experience how great affiliates are at spreading the word and driving buying customers, right? To make money from your affiliate program, there’s a really simple formula for you to keep in mind. Increase the number of affiliates in your arsenal. Help your affiliates make more sales (and more money for you). Or, to get even more out of your affiliate program, you could do both. I’m Sarah Chrisp, affiliate manager for Affilorama. In this blog post, I am going to guide you through the steps we have taken to both make our program more enticing to new affiliates, and to help our affiliates make more sales. Keep reading to find out what steps you need to take to become a top-earning ClickBank program, like us. 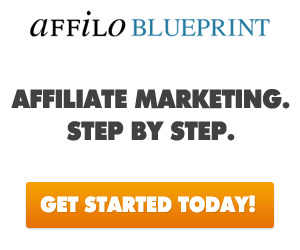 What does Affilorama offer affiliates? We offer 50 percent commission on all of our products, including lifetime membership renewals. We track visitors for 60 days. *Correct as of time of publishing. Now that you know a bit more about us, I’m going to jump straight into it. Do you know what will attract affiliates to your program? Money. Are affiliates attracted by a high-quality product? A good reputation? Fancy banners? To a certain extent, yes, but what affiliates are really attracted to is money. If they can earn more money by advertising your competitor, they will ditch you — even if your product is superior. The single biggest mistake you can make as a merchant is to be miserly with commission rates. Merchants who do this do so for a number of reasons. Some believe they deserve the lion’s share of the revenue as the creator. Or maybe they don’t like it when people search Google for their product, end up on an affiliate’s website, and purchase the product through their link — thus “stealing” away a chunk of their profits. In their minds, they figure, if they didn’t have an affiliate program, the customer would have purchased straight through them. As I said before, this is the single biggest mistake you can make as a merchant. Consider this: For every sale that an affiliate “steals” from you, they might generate another 10 sales you would not have made otherwise. Affiliates generate sales from their own established audience and subscribers they have accumulated themselves. Building this is hard, costly and time consuming, so they want to be well-rewarded for their time. Your competitors know this. They know that they can steal your valuable affiliates away from you. So while you set your commission rates tentatively at 25 percent, competitors will swoop in with a 50 percent commission rate. Guess who the affiliates in your niche will promote then? So don’t be a tightwad especially when it comes to digital products with few overheads. Offer as high a commission rate as you can. Do you remember what affiliates love? That’s right, money. In addition to the size of your commission (discussed above), a key deciding factor for affiliates is how well your page and product actually sells. It doesn’t matter if you offer 100 percent commissions, because if your page doesn’t make sales, affiliates won’t make any money. To attract new affiliates to your program and make you money, your sales page and funnel needs to look professional, and from a glance look like it will convert well. Experienced affiliates will immediately be able to tell if a page will convert just by looking at it. So the moral of the story is, start optimizing your site sooner rather than later. Don’t wait until you’ve built up your affiliate program, because without a killer sales page you might not attract any affiliates to begin with. Here at Affilorama we do a lot of split-testing to see what sells best for us (and our affiliates). Optimizely makes split-testing easy and doesn’t require a whole heap of technical wizardry. We also use CrazyEgg to heatmap our pages to see where our visitors are clicking, and how interesting they’re finding the page. If you’ve got a long sales letter, this could be really interesting for you. See how far your visitors are scrolling down the page. If they’re running away after the first couple of screen lengths and before you make your big sell, there’s room for improvement! Gravity is ClickBank’s measure of how well a product is selling. In short, the biggest component to how Gravity is calculated is how many affiliates have made a sale of your product over a certain period of time. A lot of affiliates use Gravity to identify affiliate programs they might be interested in. They also use it to decide who NOT to promote. Woe betide any merchant with a Gravity of less than 20. If you put some effort into improving your Gravity score, you’ll find that your affiliate program will start to snowball. Affiliates will see your impressive Gravity and choose to promote you. This will in turn increase your Gravity, and attract even MORE affiliates. Want to know a great way to increase it, right now? Have a product sale, and let your affiliates know about it. Affiliates who normally don’t make sales will make sales, and your Gravity score will soar. It is only a temporary boost, but for that short period of time your product will be listed higher in ClickBank’s search engine. More people will find it, and you’ll gain affiliates you wouldn’t have otherwise. Affiliates have a lot of work on their plates, so make it easy for them to promote your product. The easier it is for them, the more likely they are to actually get out there and do it. And what is easier than copying and pasting? I recommend giving them banners, written content and emails that they can use. This is the norm, and affiliates expect this content. An example review of Affilorama products that they can use as inspiration for writing their own reviews. Email swipes that affiliates can just slot into their autoresponder newsletter sequence for long-term commissions, or to send out as a blast to their list for an immediate surge in sales. High-quality graphics/banners in popular sizes and shapes. Article packs that make it easy to write unique blog posts. We don’t provide pre-written blog posts, because this would trigger Google Panda penalties. One thing I’ve found to be very effective (but counter-intuitive) is limiting the choices we offer affiliates. We don’t give them 25 email swipes: We just give them the 2 emails (per product) that we’ve found to be the most effective. Our affiliates don’t have to guess the highest-converting copy, and they’re not paralyzed with indecision. If your affiliates don’t understand your product and what it does, they cannot effectively promote it. They won’t know which keywords to target, how to write their ads, or what to include in their product reviews. One of the biggest dangers for merchants is half-baked product reviews that rank highly in Google. If the affiliates who wrote the reviews haven’t actually tried your product for themselves and don’t really know anything about it, their reviews are likely to be weak. Instead of converting into sales, they could actually put readers off of your product. How our product helps the customer overcome problems they are having. Who our product helps, and why. The different features of our product. What makes it better than your competitors’ products. And finally, don’t just throw affiliates into the deep end and expect them to swim. As the creator of the product, you have been promoting it much longer than they have: Teach them the methods that have been most effective for you. Remember, it’s in your best interest to get your affiliates making sales for you. So share the tactics that work for you — don’t keep them to yourself! In addition, open up the lines of communication with your affiliates. Answer any questions they have. If they ask you to read over their review, do it. A few simple suggestions you give them could be the difference between that affiliate making you five sales or 10 sales. Helping them helps you. We respond to emails within 24 hours, Monday-Thursday. I sit on Skype and answer any questions affiliates have. Our affiliates are just as important as customers to Affilorama, and we believe that they deserve the same level of respect and customer service. I will directly seek out top-performing affiliates and offer to provide them with custom resources to further improve their sales. For top-performing affiliates, we also offer special discounts and bonuses that they can offer to their readership/subscribers. Affiliates who sign up with us are sent our email series that teaches different promotional methods. Each week, new affiliates receive an email the recommends a single task to complete, with step-by-step instructions. By following our email series, affiliates slowly ramp up their promotional campaign and make more money. And finally, in addition to the email series, I write a monthly newsletter and send it to our affiliates. Besides updating our affiliates on news and upcoming promotions, I use this opportunity to teach them new methods and promotional techniques that will work well for our products. How many $ signs there are in that equation is up to you. If you want that to be 7 dollar signs instead of 3, you need to focus on both parts of the equation. You need to increase the number of affiliates promoting you, while teaching them how to promote you more effectively. It requires a balance of both. Want to be apart of one of ClickBank's most popular and profitable programs for affiliates? If you are ready to start promoting a business that ensures that you profit first, sign up below. I got dogged by a few bad reviews online but I found a tool to help. This company Modulates.com is a video affiliate platform that is helping me get above the reviews in Google. Doing site reviews for affiliates to improve their conversion rates is another thing that you guys have done really well to help us. Great article Sarah.. adding this to my files and will implement...thanks for all you do.. Thanks, I am trying to make more sales and will sign up for your program, great work too. Good stuff Sara. I like the bit about working hard for a high gravity score because many affiliates base product selection for promotion on a high gravity score (despite this not necessarily reflecting a product's quality or ability to generate sales). Great article. I'm thinking about creating my product and this analysis about the affiliate program helped me a lot. Thanks for the post, Sarah. I've had most success when selecting affiliate products of particular use to my list and that I have personally seen/used; plus from affiliates I have bought from or worked with, thus can recommend beyond what the sales page says. That is a great way to choose products. People can usually tell if you have truly used the product or not, so having actually used it and experienced it means that you can give a very valuable review/recommendation for your list. If you already have an active email list that is buying products from your recommendations, when you sign up to affiliate offers I would recommend contacting the affiliate managers and letting them know that you have a sizeable audience of eager buyers, and ask them for a review copy. They can't give one out to everyone, but to someone with an established audience, they can usually make an exception. Great content and information.... I will create my own product soon... I can see how profitable it could be if you do it right. To begin, your article is well written and insightful. My Texas hat is off to you! How quickly I recalled, as I read your copy, the first time I went to Clickbank. MANY had poorly constructed sales pages with no banners or other materials to support a sales effort. Few had a link to an affiliate site, implying that the affiliate side of their business was an afterthought. I don't think it has improved for the majority of companies today. Each time I read your blog, I keep learning new and new things that keep up building me towards realizing my goals in life. You spread your hands wide and calling on affiliates to do the right things to become rich. Other gurus out there will be hyping, calling on affiliates to make million dollars a day promoting their products. Your road map to affiliate riches is very clear for those who will take appropriate actions when they matter most. I am airborne and my aircraft is landing soon. Tell the customs on duty to get my papers ready. I want to commend you Sarah on a great promotional article. Currently I belong to one of your major competitor's programs. About a week ago I came to the decision that I couldn't in good conscience promoted their program. I have gone through AffilioBluePrint and I am anxiously awaiting your New, Updated, and Google friendly AffilioJetPack! I have had opportunity to visit on a couple of occasions your beautiful country and lovely city. Mark appears to me to be the leading affiliate on the planet. Thanks for an informative article. I appreciate your giving us a behind-the-scenes profile of an effective affiliate program. I copied some of the pointers and made myself a note of it. As for myself, I like a friendly product vendor who cares about the affiliates, obviously has a compelling sales page, and most importantly an awesome product! Muy buen post. Información que resume todo lo que debe tener un excelente programa. Realmente son pocos los que procuran el desarrollo personal y potenciar los recursos y herramientas de marketing para afiliados. When I come to choose the right affiliate program to promote, the very first thing I am looking for is always the Quality of the products and their services after sales. 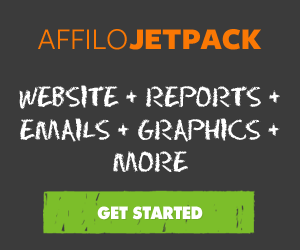 For my own experience, I had buy Affilo Jetpack at few months ago, but the content is outdated. I contact support of Affilorama and I get the refund really fast , apologize for the inconviniece and also let me know that the affilo jetpack 2.0 is coming soon really fast. I know I am description is too simple here, but I can see the quality of service of Affilorama. If I am going to create an affiliate website on make money online, Affilorama will be on my list, because of the quality of their team. Lastly, the main reason I look for quality product first when choosing affiliate program is I want to build trust with my subscribers. After all, this is the long-term plan. And when you had trust from you subsribers, you can promote any things to them and they are happy to buy from you. That's just a simple way of marketing - human engagement; yet highly effective. These are some great points. You made a great point about building up a relationship with your audience. You don't want to promote a product that isn't a quality product. You may make a lot of sales, but if it isn't very good, you'll get a lot of refunds too! That is why we have placed so much effort into build the best products that we can, not just for ourselves but so our affiliates can benefit from this too. I personally think your article is awesome! I am intrigued with much of your information and am persuaded to agree with you after reading your material. I'm hoping you'll add more articles on this topic. As always, a very informative article. For myself, I choose an affiliate program to promote based on the quality of the product and how well I think it will convert. Plus, the amount of affiliate resources provided by the vendor is important too..
Mark always gives us some great insights. When I started out Affiliate Marketing, I saw ALOT of reviews of just a few Affiliate training companies - Making a decision was very difficult ! I checked out all the membership sites and found Affilorama to be the best in terms of web design. Everything seemed so smooth and i felt like reading it all. What really surprised me was the fact that I knew AffiloJetpacks price before joining Affilorama and knew I'd be crazy to even consider buying it. I checked out the page when i joined and after 10 min of reading the sales page, I was left wishing to buy the jetpack.. even I can't afford it at the age of 18.. I've been saving for a few weeks to get the Jetpack! Affilorama has the best sales page HANDS DOWN! If you have a MMO website, you'd be crazy not to promote AR! I know all I have to do is get the person clicking on the link and let AR do the rest. Liked your article as it is very well written and a lot to learn from it, although I do not foresee myself developing a product any time soon as the IM market is moving so fast with this or that new product to do this or that procedure that it is very hard to keep up with and I am not experienced enough to have my own ideas as to developing a product, but I do like the idea of being an affiliate and promoting a product that works, that I can promote and do review sites against similar products. I think I could do okay with being an affiliate and maybe in doing it I might come up with an idea or two in how the product could be better refined. As for your article I do have a question pertaining to gravity. Is there a point where the gravity is so high that it would be redundant in being an affiliate because so many others are selling the same product??? In asking that is there a number that you recommend as the right level to look for where the gravity lets you know it's good yet not flooding the Internet??? One other thing the higher the gravity doesn't that mean that the developer of the product is more involved with paperwork, receipts, pay, refunds, and so on, therefore the possibility, if he or she is not organized leading to problems??? That is a great question. This depends on how you are planning on promoting the item. If you want to rank a review and make money that way, an extraordinarily high gravity will mean you'll have a lot of other affiliates to compete with as the SEO competition will be harder. However, if you have your own audience/email list, and you plan on promoting directly to them, then a very high gravity is a good thing, because it means that the sales page/offer has high conversions, which is exactly what you want. I hope this helps! It's great that you guys stay on top of your game. I can't wait to hear more! Thanks for the intersting article Sarah. The biggest thing I look for is firstly, have I (or do I) used the product myself. If I do and I think it's good then I will probably promote even if it's not the biggest payer. If two products are very similar in features and quality then I'll look at the commisions they are offering and then what resources they have for affiliates (emails, creatives etc.). If the product has a dedicated affiliate manager then that is even more attractive. I think if the product has all of the above then it *usually* has a good sales page. If not then I would think twice about putting too much effort in to directing my people to the sales page. Thank you for the article. I have been in your program for a year or more and have learned a lot with your tools for affiliate marketers. however, I've not made one single sale yet. Perhaps the email lessons are not for all affiliate marketers but just for those who are affiliates of Affiliorama? I really would like to earn back the money I've invested in starting my business. Thank you for the ideas about how to choose a product. Maybe that will change my score.